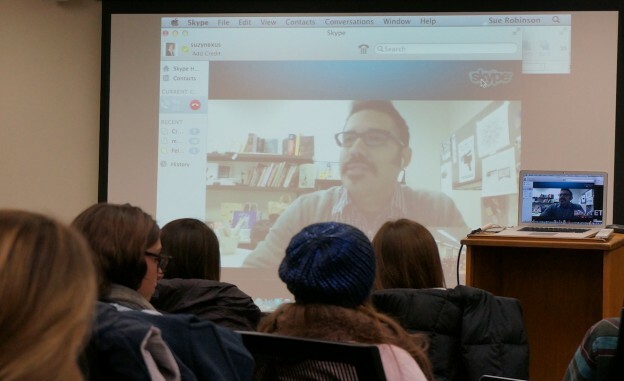 USC Annenberg's Robert Hernandez Skypes into the Social Media & News class to discuss digital strategy. Photo by Sue Robinson. Remix is a regular segment on EducationShift, featuring interesting and innovative journalism assignments, courses and curricula. Writers will detail their ideas and work and, where possible, provide links and materials, so other educators can adapt them in their own programs. If you’re interested in sharing your approaches to be remixed at other schools, contact education curator Katy Culver. When I first taught the University of Wisconsin-Madison’s Social Media & News class last year, I had a defunct blog, kept my Facebook page fairly private and was clocking in at a whopping 200 Twitter followers. But that’s my point about this kind of class: You don’t have to be a social-media guru to be successful. Tip No. 1 for creating a class from nothing: Don’t think about your lack of Twitter followers. Be one with Facebook. Embrace your inner social-media guru-wannabe. The second key is a willingness to crowdsource your classes. Both of these keys can be nearly impossible hurdles for those of us who have been teaching a long time, have active research programs and have always had a more … hierarchal mindset when it came to the classroom. The University of Wisconsin-Madison doesn’t have maternity leave, so we have to “buy” ourselves out of classes with mechanisms like sick leave or other kinds of work. Among other projects, I agreed to develop a social media course when my baby was born (so a kind of two-for-one deal). The curriculum for J475 Social Media & News is the result of that (sleepless) endeavor. Others in my department have applied for special professional development grants that buy them out of a course so they can create a new class as well. Tip No. 3: Seek potential alternative time opportunities that pay in building a new curriculum because as we all know, finding the time to create a new class stymies most of us. 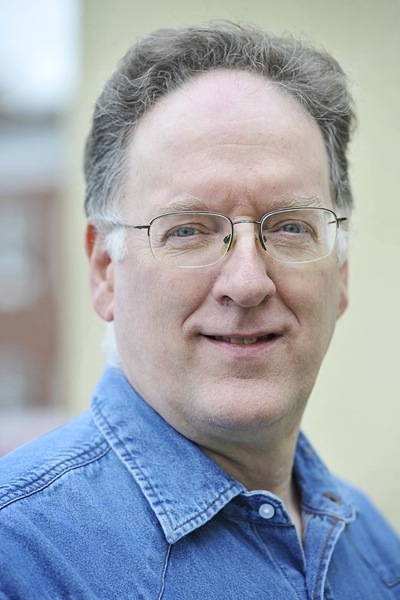 The components, including the syllabus, were networked via queries to a few Facebook Group pages, such as ONA Educators, and Poynter’s syllabus exchange, as well as a ton of conversations with social-media experts Don Stanley, Katy Culver, Carrie Brown, Hermida and many others. Tip No. 4: Go to your social networks – and then to their social networks. As my plan began to gel, a colleague came to me with the idea to apply for a grant through our library system and also use alumni donations for second-generation iPads. We pooled $10,000 to buy 20. I first taught the class in Spring 2013 to a full class and left behind a waitlist of 20. This leads me to Tip No. 5: Consider unusual (perhaps less obvious/competitive) sources of funding. Use the class to improve my own social media engagement to live the fundamentals of the class. Build a collective knowledge for the class via the students. Try not to embarrass myself (this last one admittedly is a constant goal of mine). It is a humbling experience to stand up in front of a bunch of students who are writing down (worse, tweeting) everything you say about platforms they’ve been working on for several years longer than you have. Some of my students had banked thousands of tweets to my few hundred. Tip No. 6: Expect to embarrass yourself. Your students will know more than you about some platforms. Technological glitches with any platform in the middle of class will happen. An exercise with some ‘spanking new tool will fail in an epic way. That’s OK. It helps teach the students that failure in a digital-first environment is necessary for eventual success. That said, those of us who have been around longer have accumulated a lot more valuable stuff than tweets. Tip No. 7: It’s not a far stretch to go from journalism 1.0 to journalism via social media. Tip No. 8: So many posts exist out there for potential class readings, but don’t forget foundational texts to help them contextualize why what you are teaching them works in a networked world. 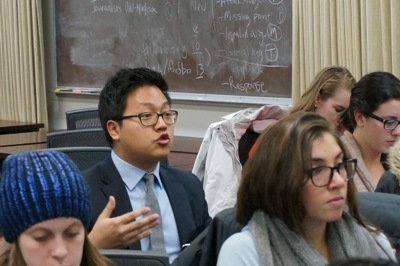 UW-Madison student Christopher Hwang asks the class speaker about BuzzFeed as a news platform. During the semester, the students interview experts in the field in short 30-minute conversations through a variety of conferencing platforms (Skype, Google Hangouts, Spreecast, etc.). 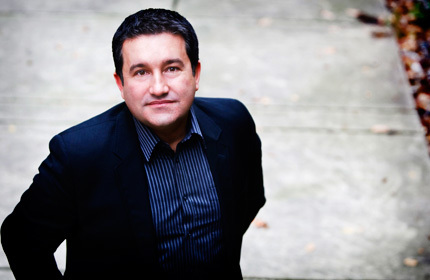 They have (or will) talk to people from web veteran Robert Hernandez at Annenberg at USC to the Chicago Tribune, Reuters, the Online News Association, Homicide Watch D.C., and others reporting news, developing social-media strategies, and building communities digitally. And then we spend the rest of the class applying our conceptual readings to what they said or to their practical-based projects. We participated in a Twitter-based international scavenger hunt started by Carrie Brown at the University of Memphis and collaborated with the local alternative news organization Isthmus on a city-wide crowd-sourced project. Finally, they worked in teams with external local-media clients who graciously spent time meeting with the students who crafted strategies for the companies as their final projects. Tip No. 9 for creating a social-media class from nothing: Make them conduct their work outside the classroom as much as possible. 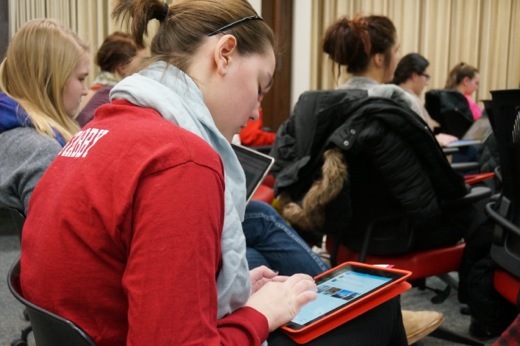 UW-Madison student Abby Becker tweets to the #socialj class hashtag on one of the course iPads loaned to students at the beginning of the semester. Tip No. 10: Stay in touch with your students. Live vicariously through their successes. See if they will buy you lunch when they become successful because of what you have helped them learn. Sue Robinson is an associate professor at the University of Wisconsin-Madison’s School of Journalism and Mass Communication, where she researches and teaches digital storytelling, social media, newsroom transitions and journalism theory. You can follow her on Twitter @suerobinsonUW or reach her at [email protected].